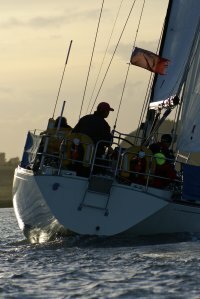 RYA Shore based courses Available throughout the year on dates to suit you at various locations in Cambridgeshire and Suffolk. RYA Practical courses, ICC training and assessments, mile building cruises and skippered charter Available between March 1st and November 30th from our base in Suffolk Yacht Harbour, Levington. Own boat tuition (sail) and deliveries (sail or power) Available at any location any time of year. Why not extend your cruising area by getting us to deliver your boat to or from your chosen cruising destination? At East Coast Offshore Yachting we have been providing top quality sailing tuition for over 20 years. Whether you're looking to gain a qualification that will enable you to charter in the Med or hoping to get a Yachtmaster qualification and employment within the marine industry we can help. All our courses tailored to your individual requirements.